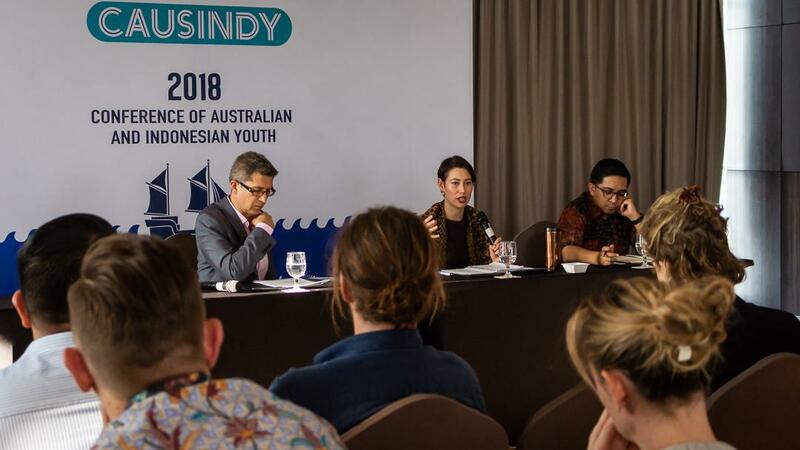 The Regional Security Panel at CAUSINDY 2018 was held on the third day of the conference, featuring Philips Vermonte (Executive Director, CSIS), Greg Raymond (Research Fellow, Strategic and Defence Studies Centre, ANU) and Natalie Sambhi (Research Fellow, Perth USAsia Centre), speaking on the pressing security challenges facing the region, and the opportunities for Indonesia and Australia maritime cooperation. Australia and Indonesia’s approach to regional security has always focused on diplomacy and cooperation. Overall, the region has been peaceful however, the rise of ‘great power’ competition (i.e. the Rise of China and the perceived relative decline of a US presence in the region) and non-traditional security threats potentially threaten to undermine this – for example, the return of ISIS fighters to Australia and Indonesia. These new threats have led to transnational co-operation in order to improve maritime security – or in other words gotong royong – between Australia and Indonesia in the area of maritime security. The panel also highlighted that non-traditional issues include food and livelihood security, as well as environmental threats. Further, with respect to the theme of Connected by Sea, it was interesting to learn that both Australia and Indonesia have relatively small naval forces, with Indonesia’s army being five times as big as its navy despite Indonesia having a ‘maritime’ identity as an archipelago. 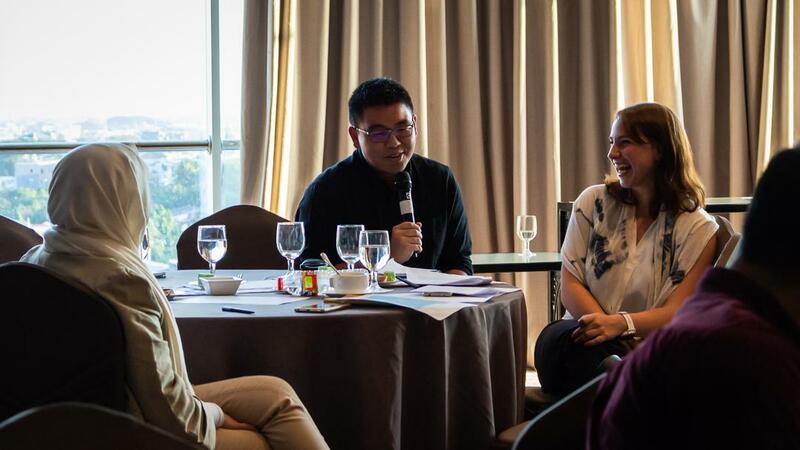 After the panel discussion, participants were invited to participate in an interactive security exercise to develop policy thinking about strategy, resources and regional relationships. Each group was allocated a ‘key actor’: the Governments of Australia, Indonesia, China and Timor-Leste, ASEAN and a multinational mining company respectively. During the exercise, the groups worked to identify and best represent their actor’s interests in the context of the scenario, which involved a commercial vessel belonging to the multinational company being hijacked with the crew taken hostage. 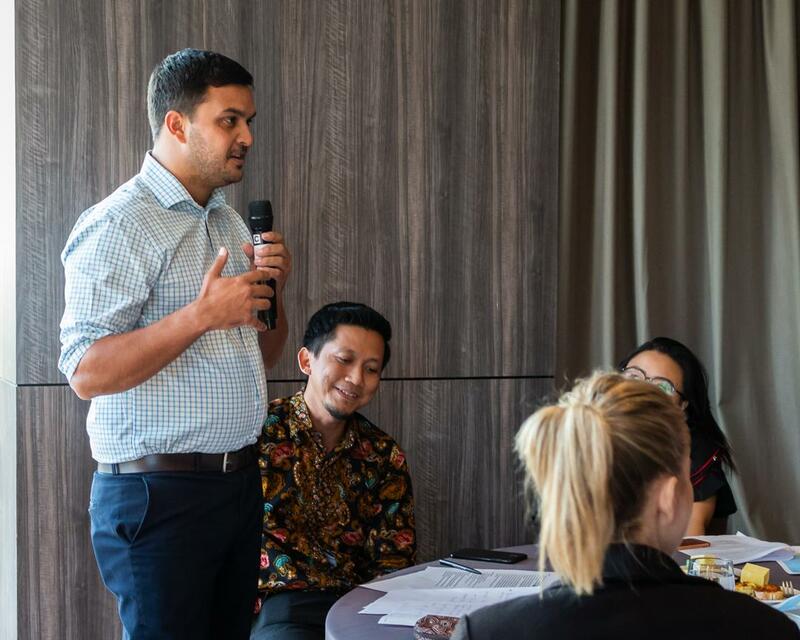 This exercise challenged delegates to think pragmatically about the Australia-Indonesia relationship in the broader context of regional security and diplomacy. CAUSINDY is a bilateral youth organisation which provides a platform for young leaders to create a stronger bilateral relationship. Copyright © 2018 CAUSINDY. CAUSINDY is supported by the Commonwealth through the Australia-Indonesia Institute of the Department of Foreign Affairs and Trade. Enter your email address to receive the latest updates from CAUSINDY. We will never sell your information!